John Talbot was the first son of John Ivory Talbot and Mary, daughter of Lord Mansel of Margam. He inherited Lacock from his father in 1772, but only survived a further six years. He had married Elizabeth Stone, daughter of James Stone of Bradbury Manor on the 19th December 1742, but she died, possibly in childbirth in 1744. The children could not inherit, so he was forced to make alternative arrangements for the future of Lacock. 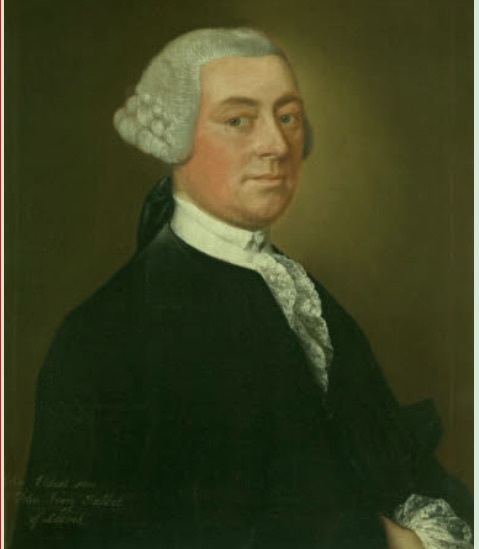 He made a will in 1775, in which he left a lifetime interest in the estate to his sister, Martha Davenport, on condition that it passed to her third son, William Davenport on her death. He was an MP for Marlborough in 1747-1754. The image on the right was painted in Bath in the 1760s by the city’s most fashionable artist Thomas Gainsborough, and now hangs in the Blue Parlour at Lacock Abbey. He died in 1778 at the age of ?61.